We have seen how united bees are. 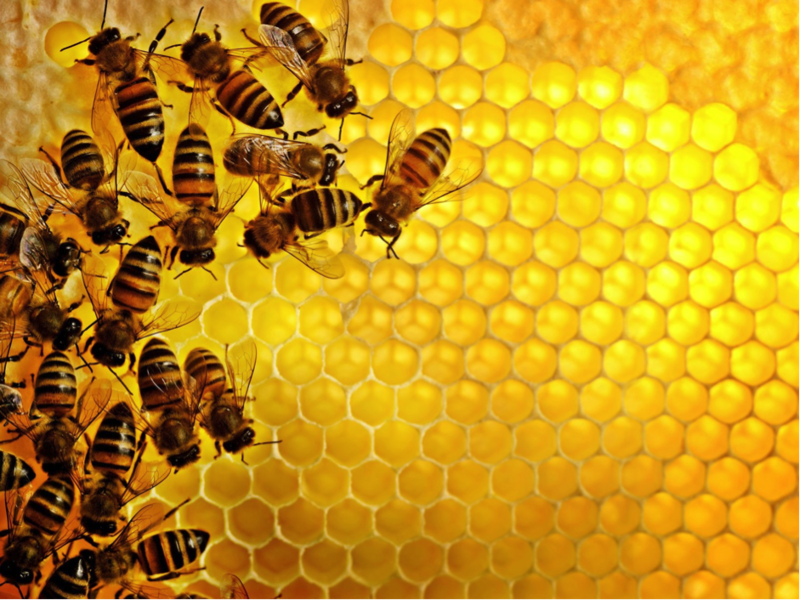 They work meticulously, all day and night and produce one of the healthiest natural food, honey. When bees get together, they raise hell and create havoc in just no time. Their passionate labour clearly shows their love for each other and for their queen. So here’s what happened. 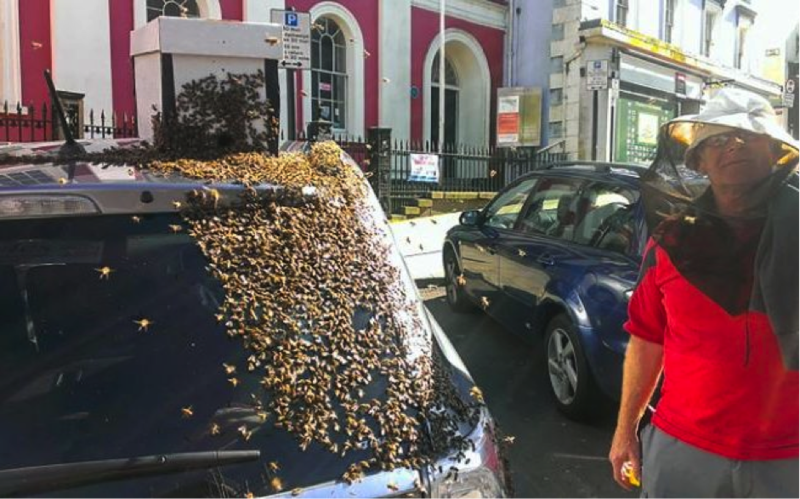 A 64 year old grandmother, Carol Howarth was surprised and horrified to find bees chasing her; not for a few minutes but for an entire day. It just so happened that Carol had parked her car in the town centre of Haverfordwest on 22nd May noon while she shopped. 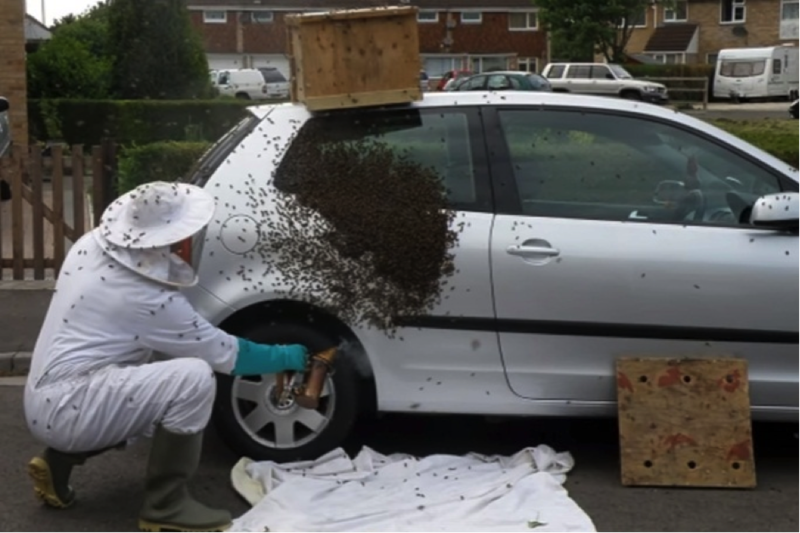 Soon after she took the car from the driveway, she noticed a swarm of 20,000 bees covering the rear side of her car. She had to ask help from a National Park ranger, and beekeepers team to capture the swarm inside a cardboard box. However, the following day, Carol was amazed to see the swarm of bees back, yet again covering the back of her car. This time the bee keepers removed the swarm for good. However, they came to a conclusion that probably it was the queen bee the workers were following. “But they couldn’t find the queen anywhere so I’ve no idea if that was right. Apparently bees can swarm at this time of the year and it is a very strong instinct for them to follow the queen,” Carol said to the media.